An international team led by Rush researcher Jeffrey Kordower, Ph.D., has moved a step closer to developing a treatment to clear brain cells of a protein that is an integral cause of Parkinson's disease. The team published the findings of their study in the Aug. 22 issue of Nature Parkinson's Disease. Parkinson's disease is a chronic, progressive movement disorder that affects the body's ability to control movement. The condition is a result of damage to brain cells that produce dopamine, a chemical that relays messages to the parts of the brain that control movement, resulting in trembling, stiffness, slow movement and poor balance and coordination. Working with rats induced with a simulation of Parkinson's disease, Kordower's team showed that a genetically engineered fragment of an antibody—called a nanobody—cleared away toxic clumps of the protein alpha-synuclein after the team injected the nanobody into the rats' brains. The hope is that once this therapy is introduced, it will continue to keep brain cells clear of the alpha-synuclein for the rest of the person's life, said Kordower, a professor in Rush Medical College's Department of Neurological Sciences, where he also is director of the Section of Neurobiology. Alpha-synuclein, abbreviated as α-syn, occurs naturally in the brain and elsewhere in the body. In neurological disorders, however, the protein clusters in misfolded (abnormally clumped together) and disordered forms. 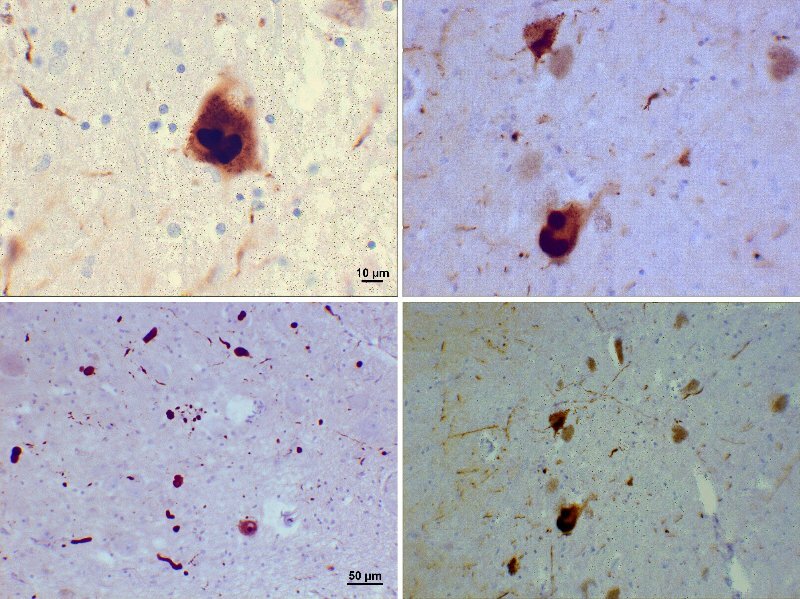 In Parkinson's disease—known as PD for short—malformed α-syn accumulates in distinctive formations called Lewy bodies, which is considered an integral part of PD. "We're looking for ways to reduce alpha-synuclein levels, accumulation and toxicity resulting from the spread of alpha-synuclein around the nervous system," Kordower said. This study is the first to use nanobodies for PD. Some previous research has shown promise with clearing α-syn in areas outside the cells, but Kordower believes an intracellular approach could be even more effective, because the amount of α-syn within cells is more plentiful than the amount outside them. "If you reduce intracellular levels, chances are that the a-synuclein won't get extracellular, so it won't spread," Kordower elaborated. His team created an "overexpression" (overabundance) of α-syn in the test rats' brains. They then tested two types of the gene therapy, each on a different group of rats, and used saline in a control group, to see if the nanobodies could clear away the clutter inside those cells. The nanobodies were custom-made for the study by the University of North Carolina Vector Core. "The decrease in serine 129 phospho synuclein demonstrates the success of the nanobodies in reducing pathological alpha synuclein in the brain," Kordower said. The second nanobody the team tried, NbSyn87*PEST, was effective, but less so overall, and had side effects like increased inflammation. PEST refers to a sequence of the amino acids proline, aspartate or glutamate, serine and threonine, which targets proteasomes – combinations of proteins that work to break down unneeded or damaged proteins. 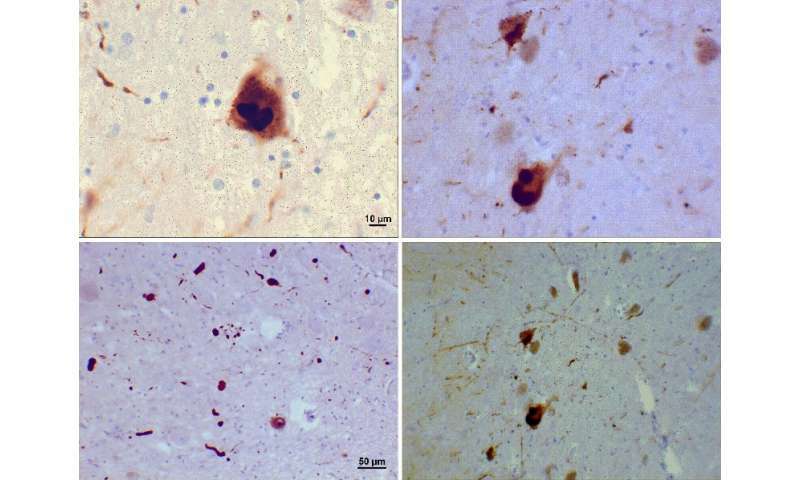 This PEST sequence has been found to be an effective intervention against disordered proteins such as the excessive α-syn found in Parkinson's. Given the promising results of the VH14*PEST treatment, Kordower and his team plan to pursue it further. First, though, the group has to fully "humanize" the compound it used in the rat model. That is, they have to make it safe for people. "Then we have to repeat these studies, in rats, with the humanized version to make sure it is as effective as the ones we've been testing," which were compatible with a rodent's physiology, Kodower explained. Only then can the team consider using the therapy in clinical trials in humans.